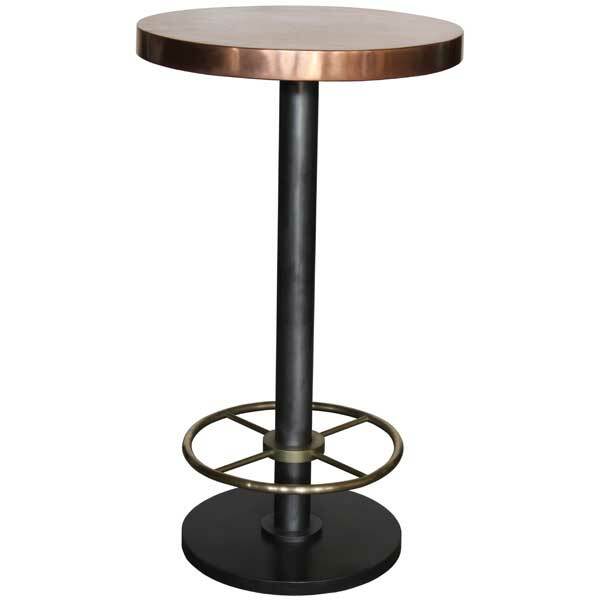 Bistro Bar Table with Copper or Brass Top (Round) is a unique bar-height table designed for upscale homes, restaurants, cafes, wine cellars, and bars. 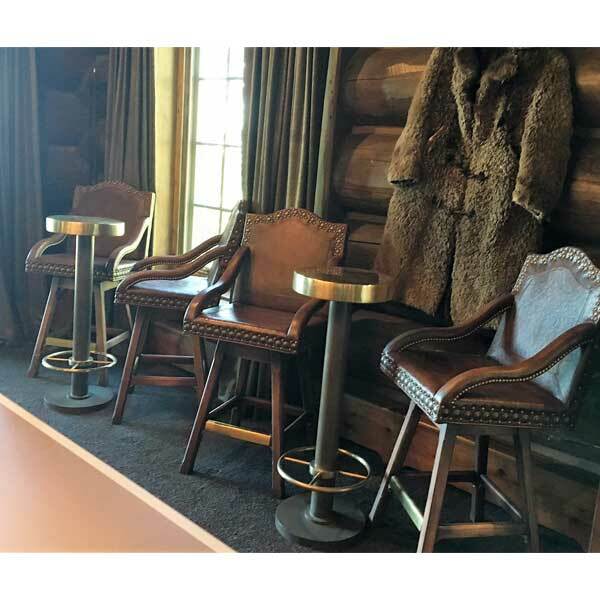 With its European style understated elegance it makes an exceptional brass or copper bar table for the game room, man cave, or home bar. The table top is constructed of heavy duty 43 mils (18 gauge) copper or brass sheet which can be made any size up to 42″ diameter. The sheet metal is stretched over a robust steel frame and NOT cheap particle board or plywood. Underside of the table top is coated with sound deadening material. 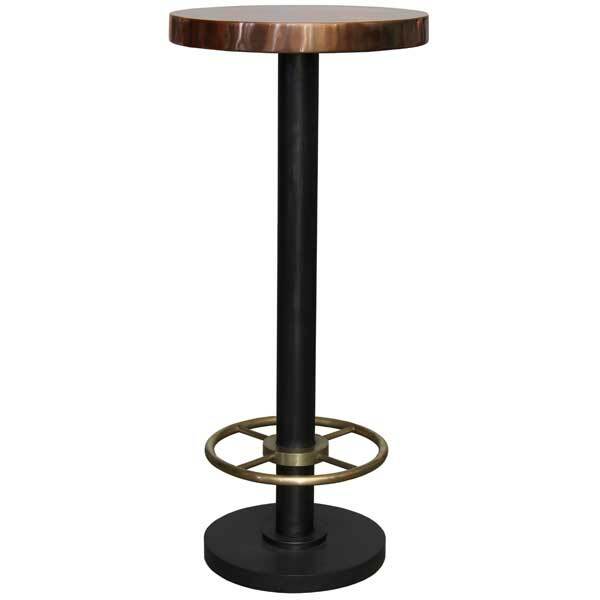 Available in a variety of finishes, the metal base can be made any height up to 42″. 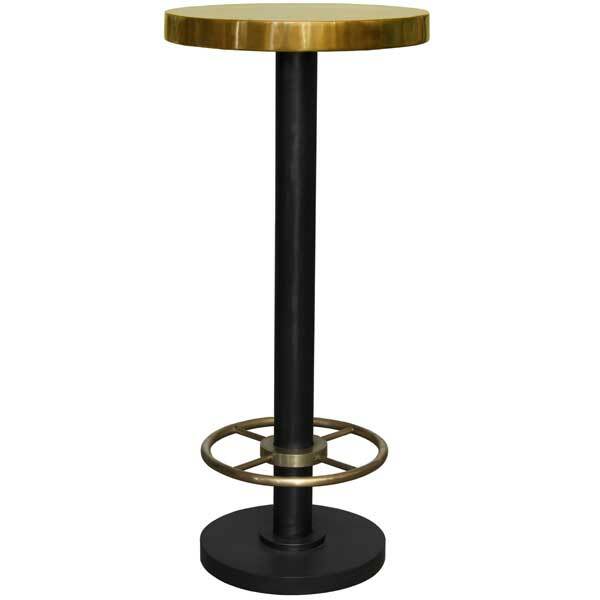 The solid brass footrest adds that special accent, setting this table apart from other such bar tables. 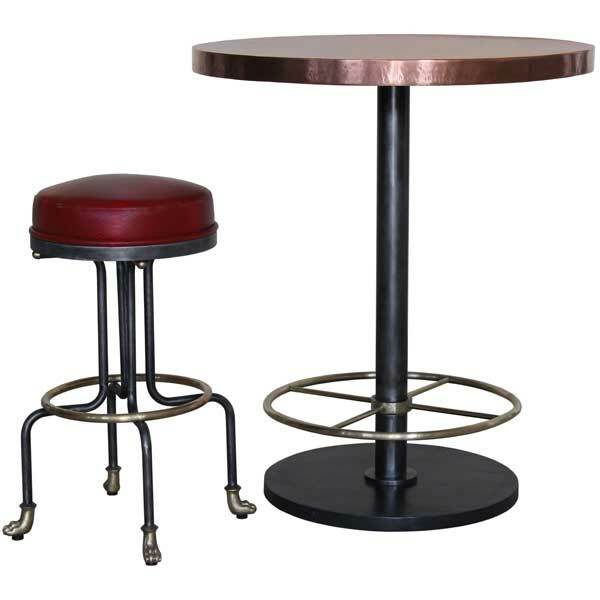 Bistro Bar Table with Copper or Brass Top (Round) was designed by Shah Gilani, ISFD.